Uniform has many benefits: the first benefit is identifiable and conforms to an identity. For example, the police wear police uniforms, School Suit Uniform. The second benefit is professional dignity. Good business wear, good within the limits of what you can. The third benefit of business wear is that it is easy to work. In turn, we can clearly see that the occupation is equipped with five characteristics, namely, occupationality, identity, standardization, practicality and aesthetics. Professional uniforms and professional fashion are mainly dressing choices for middle or upper-level personnel. The fabrics must conform to their identity and position. The fabrics are mainly required to have high grade, good texture and comfortable wearing. They are durable, washable and wearable. Anti-oil, anti-static and other performance requirements are not as strict as professional tooling, but must also be moderately designed and selected according to the specific clothing. Professional wear is a uniform custom-made garment for various industries. It is a garment designed to improve business efficiency, convey corporate culture, and identify corporate image. Therefore, when selecting fabrics, in addition to considering their different functional requirements, they must also pay attention to the labeling of their fabrics, pay attention to the beauty of fabrics and reflect the individual image of various industries. Fabric is the carrier of clothing, and Uniform Fabric also needs to consider texture, durability, aesthetics and comfort. Generally, professional fabrics are selected as high-quality fabrics such as wool or cotton with high yarn counts. The fabrics made of this type of fabric have a good feel and are comfortable to wear, but the disadvantages are that they are not easy to care for and are easy to wrinkle. 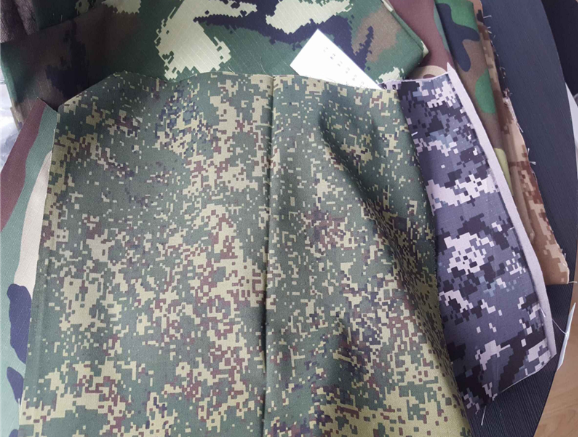 We are Uniform Fabric Supplier, we have uniform fabrics such as Police Uniform Fabric, Business Suiting fabrics, etc. If you want to know more about uniforms, you can contact us. Previous: What Factors Need To Be Considered For Professional Shirt Fabrics? Next: How Should School Uniform Fabrics Choose?